Have a spiritual experience with your visit at Katra. At the foothills of Trikuta mountain, Katra is renowned as famous religious site. Devotees basically visit the place to collect blessings from Holy shrine of Mata Vishno Devi. For this one has to cover around 13.5 kms distance to reach the famous temple of Vaishno Devi. The entire place and its related maintenance is under the services of Shrine Board. If you are not able to cover the distance by walk then there is facility of palkies, ponies, pithoos and helicopter. 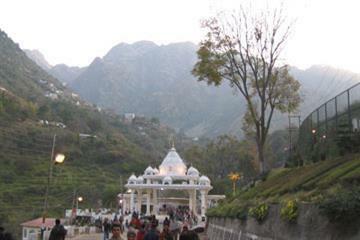 Katra is popular as base camp of this shrine. 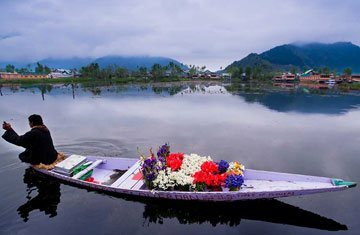 This pilgrimage site is considered among one of the popular holy places of India. It is fully crowded area throughout the year with all around devotees. Some are here for collecting blessings and others for paying thanks in order to fulfilling their wishes. With the gratitude of mother in this meditative environment, you can also cover the Bhairavnath temple and Ardh Kuwari like places.